Why Am I Doing This…? Me and the rig, taking in the sky. Interesting question from the person at the back. Since I was a young boy, I’ve had a complete and utter fascination with space, the stars and planets, and everything else that could be out there. This has manifested itself in lots of ways over the years, from a boyhood fascination with Star Wars, Doctor Who and Sci-Fi (which continues to this day, much to the amusement of my wife), to a love of the space programme and all things astronomy, encouraged in part by a certain monocled amateur. The main problem was that when I was younger, catching the Sky at Night in my video-recordereless household meant peering at it on my black and white ancient late 60’s bedroom TV set (you know – the type with the tuning knob) at a particularly school-unfriendly time of the night (and subsequently almost falling asleep at my desk the next day). My first actual progression on to observation happened when I was given a ‘catalogue’ 60mm refractor when I was about 8 years old, which actually ‘telescoped’ out to full size, and had a push-pull straight focuser with a fixed eyepiece. It also had a baffle just inside the tube which effectively cut the aperture down to about 1 inch, and a tripod made of three bits of thin steel, that sat on a desktop. Despite it’s (significant) shortcomings, this little scope opened up to me the fact that the planets were not just points of light, and instead were actually small circular things (no detail yet!). My first sight of Jupiter and the Galilean moons was my first ‘wow’ moment. Who’d have thought a small circle, drenched in a mass of false-colour chromatic aberration fringing, could be so exciting! I was out looking at it at every opportunity. A few years later, at about 12, I got an old 4.5″ Tasco Newtonian reflector on an EQ mount. Suffice to say I made the most of it, especially considering it didn’t actually have any legs, and I used to use it on a coffee table that I carted out the back. Compared to the little refractor, this was an absolute revelation. 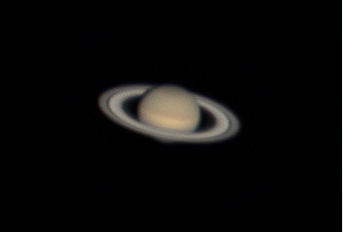 I finally saw my first detail on Jupiter (barely), and the rings of Saturn (the next ‘wow’). Not being able to see much from the light polluted skies of my home town, and lacking any way of getting the scope to anywhere darker (my family didn’t ever own a car), I satisfied myself mainly with the planets for the next few years. A few years after university, and with an income of my own, I settled in a darker area, and decided to go for something more capable on the equipment front, in the form of an 8″ Dobsonian-mounted reflector. The next 8 years, it provided a lot of enjoyment, especially under the darker skies away from the city. Adding a Toucam Pro to this setup, I was able to capture my first low resolution images of the planets, which, despite being basic, and limited to the amount of time it took the planet to drift across the tiny chip, was a great start. The reasons for this site are several-fold. It encourages me to document my progress, which gives me a great overview of how I’m doing. It acts as an aide-memoire for myself, as there’s a lot to remember! On the flip side, it also allows me to share what I know, and potentially encourage and help others to do the same. I have a massive amount to learn, and lots of progress still to make. An important part of making this site is that I wanted everything on it (image-wise) to be my own work, and so that is how it’s developed. All images here have been created by me, unless stated otherwise (which I don’t think I’ve done yet as far as I can remember!). Content is king so to speak – and I wanted this to be totally from me wherever possible. I’ve progressed from simple single DSLR shots (using my Canon 5D), to guided, stacked and calibrated DSLR shots (using an astro-modded Canon 1100D). I came a long way with the DSLR, but finally moved into the wonders of CCD-based imaging in 2018 thanks to the purchase of a used Atik 314L mono CCD. 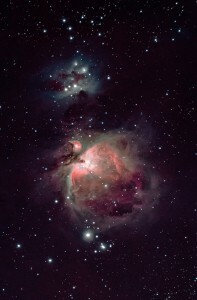 Astro-imaging can be a black hole for cash if you allow it to be, and very often, people don’t get the best out of what they have, and think that the answer is more kit. Kit is good, but making the most of kit you have first is better. I’ve been lucky enough not to have made any major bad decisions when buying equipment, but I know those who have, and so hopefully, this site will serve to show what can be achieved with a relatively modest setup. I don’t have super-expensive triplet apo refractors, and have kept to the cheaper end when it comes to camera kit. I think my results show that you don’t have to spend silly money to end up with very respectable output imaging-wise. As for my development – the next big milestone will be building an observatory, which will allow me to have a more permanent setup which can be unfurled and started up in a shorter time than the current time it takes me to get the kit set up each time. This will make imaging a more common and pleasent experience, and I’ll be able to capture more of those elusive photons during the brief spells of clarity we have here in the UK. Unfortunately, my current location makes building an observatory difficult, but it’ll happen eventually. In the meantime I’ll satisfy myself with a high degree of what I call ‘obsy-envy’, as some of the other members of my local Astronomical society have some fantastic back-yard observatories. Lastly, I found myself craving the visual side of things again a few years ago, as I had been more or less totally concentrating on imaging for a while. 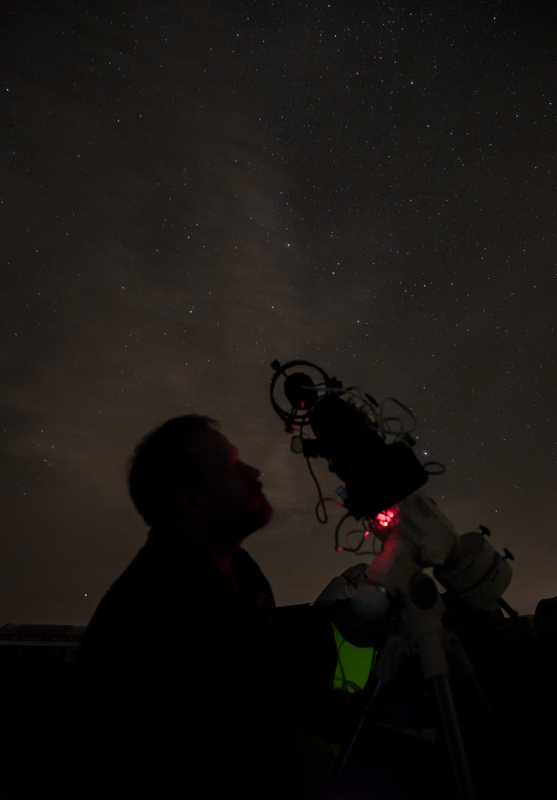 This culminated in the purchase of a 305mm Explore Scientific Ultralight Dobsonian. This combined portability and ease of storage with the aperture I’ve been wanting for a long time. First light report already up – take a look! I hope you enjoy the site, and come back regularly. I’ll be doing my best to update on a fairly frequent basis, so hopefully there’ll usually be something new to take a look at. Thanks for visiting – hope you find something of use, interest or beauty – preferably all three. If you’d like to contact me, use the form below. I do my best to reply to every legitimate email I get. Also feel free to comment on individual articles and posts. Again – I try to reply where I can. Adam's AstroSite © 2019. All Rights Reserved.